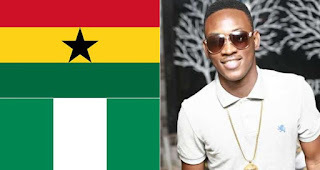 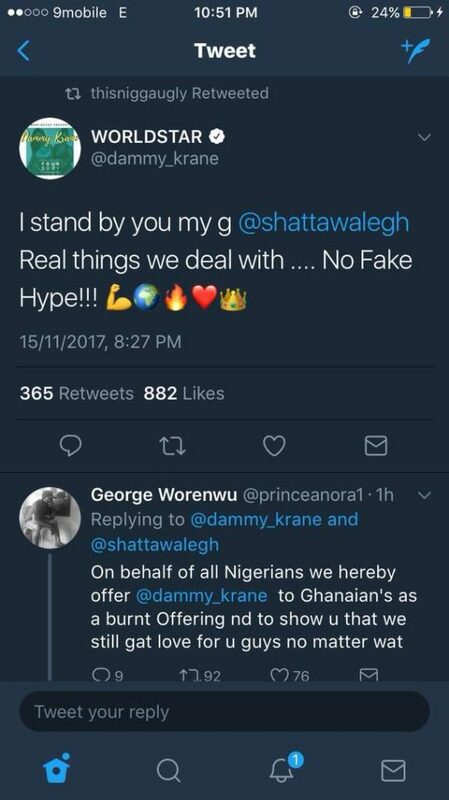 Last night, Nigerian pop star Dammy Krane tweeted his suppport for controversial Ghanaian act, Shatta Wale. 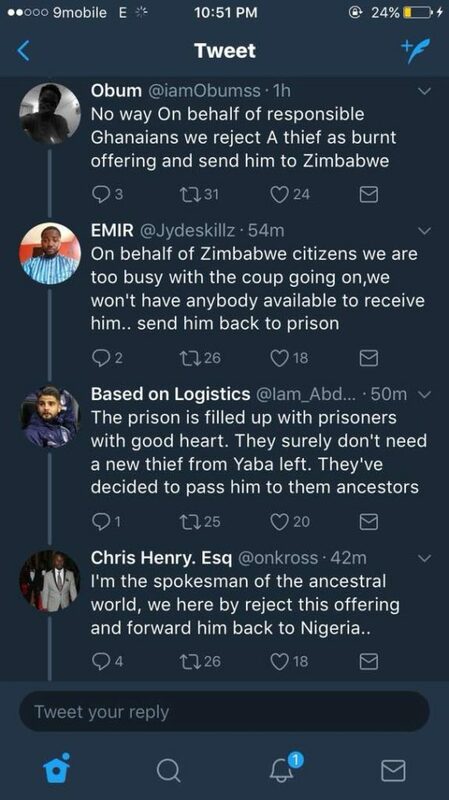 This didn’t go down well with Nigerian’s on twitter who immediately donated him as a burnt offering to Ghana but he was rejected and passed on to Kenya, Zimbabwe and even the ancestors, who all declined to accept him. 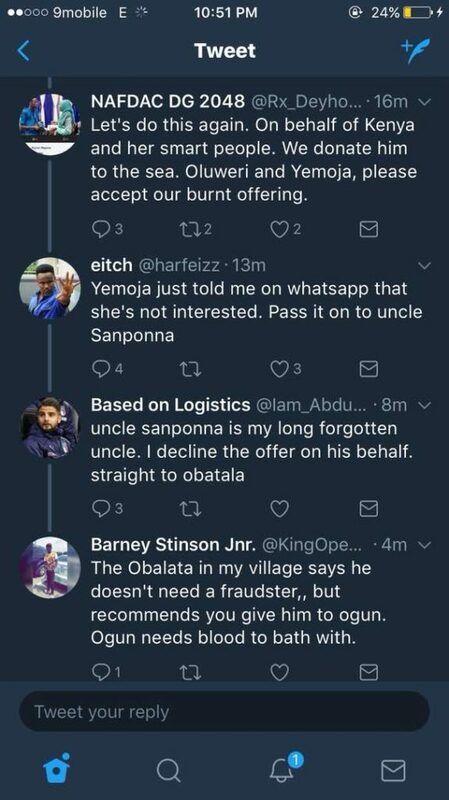 Nigerian twitter is such a dangerous place.